I love this little poem – I’m sure it’s even more moving in the original Persian. It’s not the time of year for hyacinths, but perhaps the meagre (or slender in some translation) store the poet writes about, can refer in the context of the 21st century to our time. We always seem to be short of time to do the things we would like, or, if we have the time, we don’t have the energy to do them. To transfer the metaphor, maybe we could take a look at our stores of time and see if we can ‘sell’ some non-essential activity in order to ‘buy’ a more soul-nurturing and energy restoring one. What ‘loaf’ would you sell? Where do you feel you spend too much numb time and is there room for manoeuvre to spend less? Then the question poses itself what would you buy with the purchased time? I find the soul-feeding ‘hyacinths’, like the flowers themselves, outside, in nature, and am restored by walking on the seashore or along the dramatic, Poldarkian cliffs near where I am now on the lovely south Cork coast. My view is expanded to the wide blue or grey horizon; sky and earth are miles apart, reminding me of the vastness of things – a friendly vastness, as I’m held in nature’s embrace. But there are many other ‘hyacinths’ to be bought with our time. Working on a poem can sow me a bulb; cooking a really old-fashioned shepherd’s pie can be a full-blown one; a loving conversation can become a whole beautifully presented bunch. By the end of a day, when I cast my mind back, I find I have a vaseful. You have many ways to fill your vase. 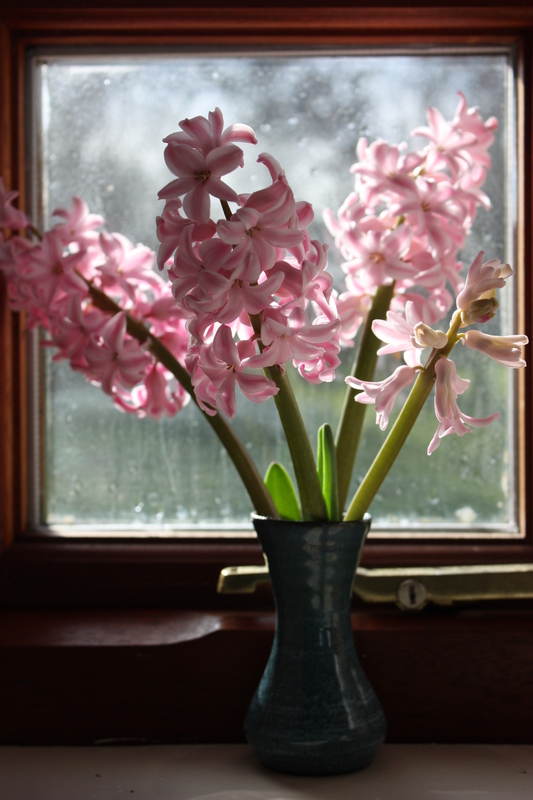 Cast your mind over the day and see where you bought hyacinths today, and plan where you can buy some more for tomorrow. When you have more than enough, you can always give some away. This entry was posted in Uncategorized on July 22, 2015 by miriamwainwright.